Sausage Gravy is something that my mom always made for special occasion breakfasts. It was something that we all really enjoyed. Now that I am a mom and the one doing the cooking, we like to have it occasionally when we have time for a big Saturday morning breakfast or a nice hearty breakfast for dinner. Brown Sausage in a skillet, stirring until it crumbles. Drain, reserving 1 Tbsp. drippings in skillet. Set sausage aside. Add butter to drippings; heat over low heat until butter melts. Add flour, stirring until smooth. Cook 1 min., stirring constantly. Gradually add milk; cook over medium heat, stirring constantly, until thickened and bubbly. Stir in seasonings and sausage. Cook until heated through; stirring constantly. Serve over biscuits or scrambled eggs. It's been a while since I made this soup, but this weekend it sounded like a good option. My picky Henry even enjoyed it and he doesn't generally like much of anything with red sauce. It is really good right out of the pot, but is also good the next day (just not very soupy). Brown Italian Sausage (make sure to remove the casings), onion, and garlic in a dutch oven until done. Drain well. Add chicken broth, tomato sauce, diced tomatoes, Italian seasoning, black pepper, and crushed red pepper to the sausage mixture and bring to a boil. Reduce heat to medium-high and continue to simmer for about 10 minutes while stirring occasionally. 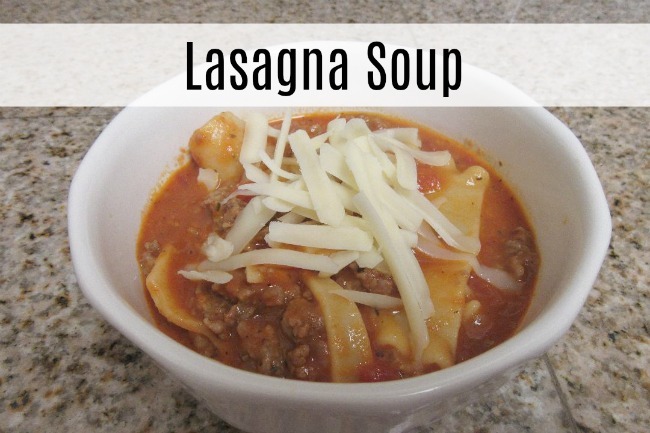 Add broken lasagna noodles and continue to simmer and stir occasionally until noodles are nice and soft. This will take 20-30 mins. depending on desired consistency. Once noodles have reached desired consistency add grated parmesan cheese and 1/2 cup of mozzarella cheese and stir until cheese is melted. Dip the soup into bowls and top with remaining mozzarella cheese. Serve and enjoy. Makes approx. 8 cup servings. This year I am sharing my planner picks for 2018 on my YouTube Channel. I wanted to include some links here for easy access. I also copied and pasted the very first planner post I wrote all the way back from 2014. The exact planner I purchased this year. 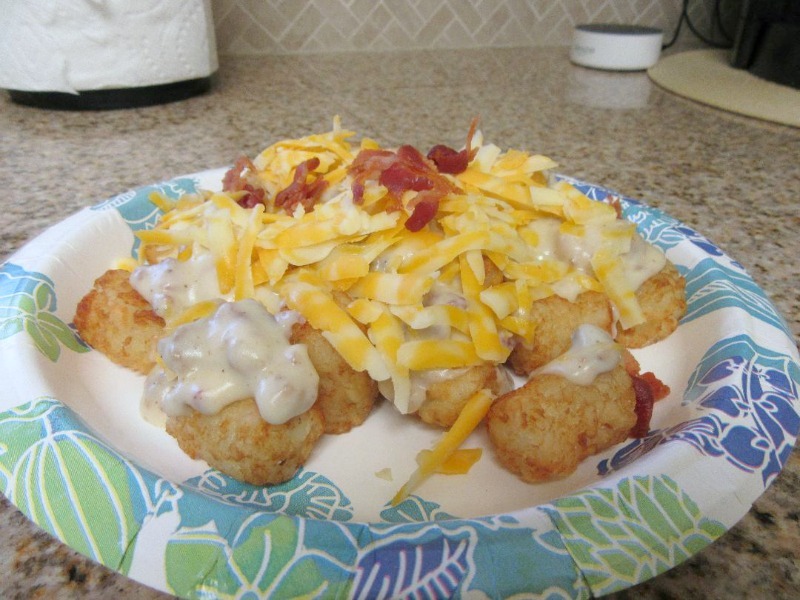 *This post was originally written on January 16, 2014 on my old blog. A few weeks ago I told you that I finally decided on a new planner for this year. I am a list maker, and wanted a planner that was spiral bound, had plenty of room to make all of my lists, had lines, and was stylish. I spent a lot of time reading reviews, and finally settled on the Planner from Plum Paper Designs. I went with the cute turquoise chevron cover. I'm pretty sure that I will never tire of chevron. It also has a nice frosted cover for extra stability. I think my favorite part is the colorful monthly tabs. They are laminated, so I feel like they will hold up well. The monthly spread takes up two pages, so there is plenty of room to write. I'm also really happy about the list of Birthdays, Events, and Notes on the left side. Very useful. Here is a look at the weekly view. I haven't had much going on this week, but in my old planner this would have filled up really fast. I use the weekly goal section for projects that I want to get accomplished throughout the week. I use the checklist section at the bottom of the page for meal planning and for my daily cleaning chore. The notes section is also nice to have. I may use it for planing my weekly blog post schedule. I still haven't mastered the actual planning of blog posts, but in the event that I do, I like that I have a nice place to write it down. I use the daily section for a running to do list of all of the things that I need to do on each specific day. Here is a look at the monthly notes section. Lots of room to write and plan. It looks like I forgot to take a picture of the pocket in the back, but there is a pocket that is perfect for holding loose paper and/or receipts. This is the first time that I have ever spent more than $10 for a planner, and I am happy to report that it was money well spent. I am really enjoying having a nice, organized place to write everything down. I am very please with the quality, size, and layout. I write with a mechanical pencil and then cross everything off with a highlighter, so I can't really say how pens would work. The paper is a little bit thinner than I expected, but it is perfect for my needs and I am REALLY happy with it. Make sure to check out Plum Paper Designs on Etsy. There are several types of planners to choose from and a nice selection of cover choices. There is also a Family Planner that has seven different sections that can be customized just for you. * I was not paid or perked for this review. I looked up a coupon code before I made my purchase, and then asked for a coupon code of my own to share with you. I am happy with the planner and wanted to share. All opinions are my own. *These items were sent to me complimentary from Influenster for the purpose of testing and reviewing. All opinions are genuinely my own. 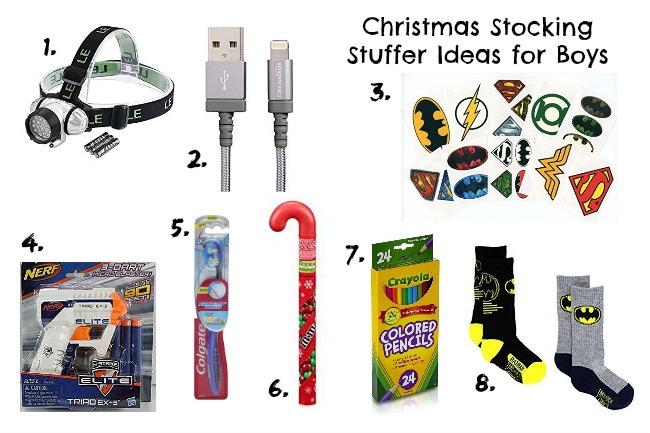 I am not being compensated for the review other than receiving the products pictured for free. I was super excited to be chosen by Influenster to receive the#OleGlow Voxbox! You can take a peek at the unboxing video on my YouTube channel if you are interested. 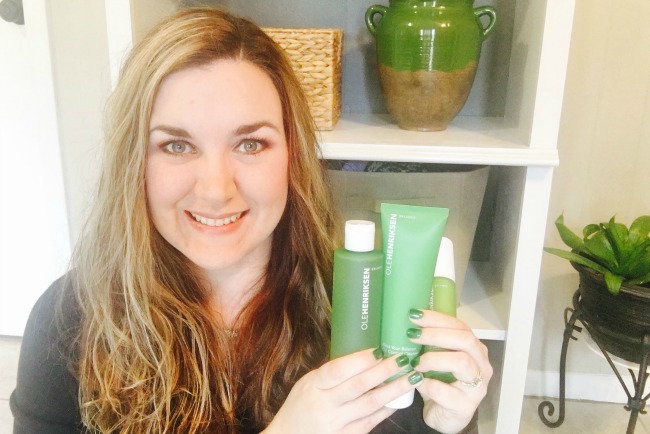 I received full size products from the OleHenriksen Balance it All line. I put my normal products away for about 3 weeks so that I could test these for you and let you know my thoughts on them. Spoiler Alert - I am still using them! This particular line, Balance is All, is for oily prone skin and is available at Sephora. Find Your Balance Oil Control Cleanser - I really enjoyed this cleanser. My skin is oily, acne prone, and sensitive. This cleanser left my skin feeling clean without drying it out like most cleansers do that are for oily skin. It has just the right amount of foaming action. A little goes a long way. It did not irritate my sensitive skin at all. This cleanser has a strong scent, but I really like it. It smells minty, fresh, and clean. If you prefer a fragrance free cleanser this may not be for you. Balancing Force Oil Control Toner - This toner works really well, but it was my least favorite product that I tried in this line. It did control my oil nicely, but I found it to be a little harsher than necessary. It smells just like the cleanser. Counter Balance Oil Control Hydrator - This is my favorite product from this trio! This moisturizer did not meet my needs for a night time moisturizer, but it was perfect under my makeup each morning. It has the same great scent as the other products, is light weight, dries quickly, and leaves my face ready for makeup. This is the one product that I can say that I will consider purchasing in the future once I run out. I almost forgot to mention that the packaging on these products is great! I really like that the cleanser is in a squeeze tube and the moisturizer has a pump. Thank you so much to Influenster and OleHenriksen for giving me the opportunity to try these products out! 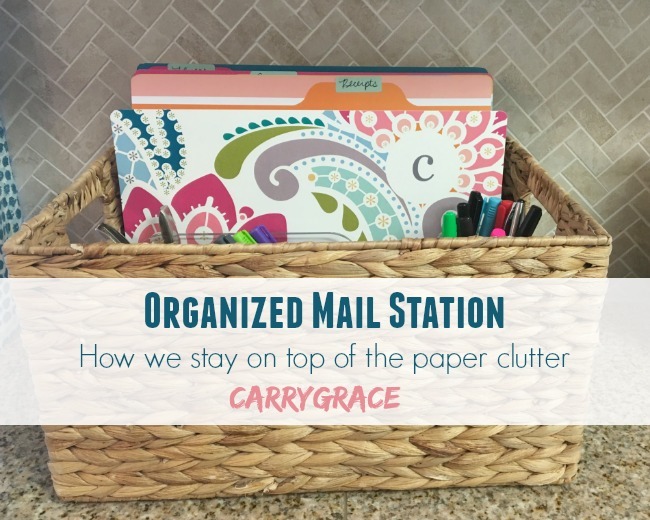 Today I am sharing our Organized Mail Station on my YouTube channel. I used to have something very similar back in the day, but things moved around (as they do in this house), and the mail system went out the door. We were back to putting the mail in a basket as it came in and then not having a system or designated time to deal with it all. It was time to get it back together. I went back the system I learned all those years ago from Toni at A Bowl Full of Lemons. I used less categories and updated the look a little bit, but the function is pretty much the same. The other thing I did this time around is set a designated day each week to go through each folder and clean it out. This is a MUST for me. Receipts get shredded once I make sure things have posted correctly and I know we won't need to make a return. Any papers that need to be filed get filed. Coupons are checked to make sure they haven't expired. Sale Flyers are checked to see if in date and still needed. The rest are tossed. Very simple, but effective. No more piles on the counter or baskets stacked full to be rummaged through. All of the details can be found HERE on my YouTube Channel. Keep reading to see my original version form 2012. Originally Written in 2012 on my old blog. I am not super organized by nature. I have to work at it! But, being organized really does make life so much easier. Last year around this time I read so many great blog posts about family binders, command centers, mail stations, blah, blah, blah. I really wanted to get organized, but we had just moved into a house that had so much to be done reno wise. I didn't get to do much that didn't involve removing wallpaper, a paint brush, caulk, or grout. Here we are a year later. The reno dust has settled (mostly), there aren't as many walls that still need to be painted, we have a better idea about how the rooms in our house actually function best for us, and it is time to get it together. I started with our mail center. We originally had a tray on the desk where our mail "landed" until dealt with, but it never seemed to be completely empty. Even after my husband "dealt" with the mail. I'm not the one that handles the mail (or bills) in our house, but it still bugged me that the tray was never empty. I knew that some revamping was in order. The other problem was where to put the weekly grocery ads. I normally meal plan and like to use them when I put my meal plan and grocery list together, but I couldn't seem to find a good place for them. They had a "home" in one of my kitchen drawers, but they always seemed to attracted other random paper clutter. Not good. I started stalking the archives of some of my fav organizing bloggers and came up with a plan. I knew right away that the mail station that I came across on a Bowl Full of Lemons was just the right fit. I went to Target and purchased this metal file holder. Our desk is close by, but I really wanted something that I could use at my kitchen counter while standing up, and then could tuck away in the cabinet when we had company. The categories that I use are grocery ads, coupons, incoming, outgoing, to file, to pay, and then a file for each family member. I am happy to report that after using this system for a month it is working very well. I don't have piles of paper on my counters. The other great thing about the metal file box is that it has plenty of room to hold our new family binder. (more on that in another post) It doesn't take up much room on the counter and it fits nicely in a cabinet if I want it out of site when we have company. I couldn't just leave the tabs plain. I cut a piece of scrapbook paper to size and added a label with my label maker. I didn't even stick the label to the paper, I just slid it in the clear sleeve. This way it's easy to change out if needed. I make sure to go through all of the folders each week and file things as needed. I also have a shredder right next to the counter so that I can take care of all of the junk mail right away. Do you have a mail system? If so, what works for you? One of my favorite things about the beginning of a new year is a brand new, fresh planner! Who am I kidding? I like new planners all year long. 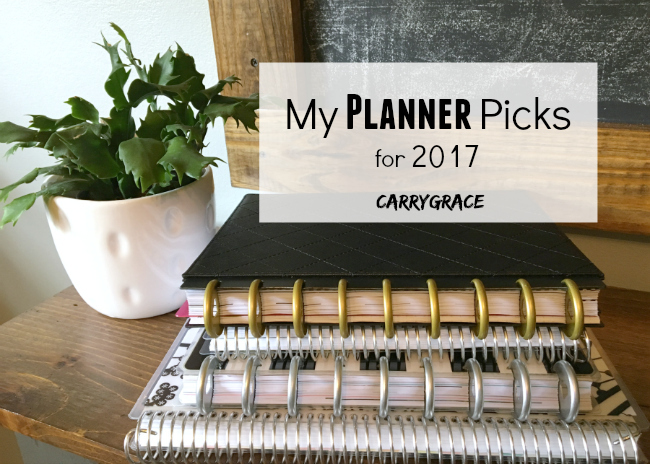 😉 I did not end 2016 in all of the same planners that I started with, but I learned a lot about what I need and don't need when it comes to planning. This year I am starting with four separate planners. If this ends up being too many, I can easily combine a few of them, but for now, I am enjoying having them separate. I am using the Erin Condren Teacher's Lesson Planner for our homeschool planner. I did start this planner this summer when we started a new school year. It is still used daily and going strong. I am using a Happy Planner in the classic size for my main planner this year. I chose this planner because it is so versatile. The Happy Planner uses a disc system that makes it easy to add in and remove pages as you wish. The Happy Planner now has daily pages that can be purchased separately. This was the game changer for me. I can now have a weekly and daily planner all in one. The Happy Planner - Fitness Edition is new to me this year. I have tracked my meals and workouts in planners before, but this is my first time having a full size planner that is already set up for tracking meals and workouts. I feel like this will make it easier to track. If I end up not liking this being separate from my main planner, I can easily add a month from this planner at a time to my main planner. The Erin Condren Deluxe Monthly Planner is my choice for a content planner this year. This wasn't completely necessary, but I really miss seeing and using my Erin Condren covers on a daily basis. I have quite a collection. The monthly view will be perfect for planning all of my blog posts and YouTube videos. The notes pages in the back will be great for planning things in more detail. 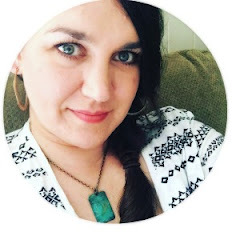 Referral Link - Save $10 on your FIRST Erin Condren order when you create your account and place your first order through This Referral Link. I will also receive a credit that I can use toward an Erin Condren purchase. Thank you! *The Erin Condren Planners were purchased with Referral Credit that I earned through sharing my referral link. All other planners were purchased with my own money. ALL opinions are my own. This is not a sponsored post.